Geothermal lowers operating costs, is quieter, requires less maintenance and is the environmentally conscious choice! As a Canadian geothermal heat pump specialist for more than 35 years, we bring you one of the most efficient, comfortable and environmentally friendly heating/cooling technologies available today. Geothermal takes advantage of the natural heating and cooling capacity of the earth – you are drawing upon a resource that is essentially free. Constant, even heating in the winter and better humidity control in the summer. Geothermal reduces fossil fuel emissions by the equivalence of taking two cars off the road or planting one acre of trees. HEAT is extracted from the earth in the winter to heat your home. COOLING is provided by reversing this process in the summer. Geothermal is a natural process, we just enable it to happen, saving you money in the long run. WE SELL ONLY THE BEST AND SERVICE THE REST! Our focus has always been the quality, life expectancy and reliability of the geothermal heat pump systems we install and service. 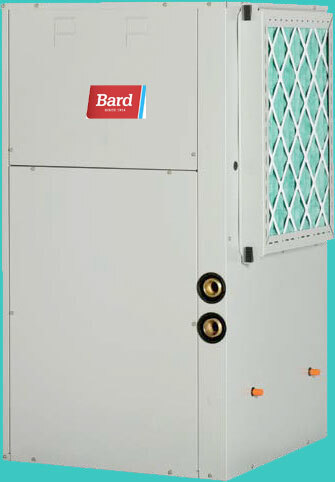 We bring you only the highest-quality units from industry-leading manufacturers such as Bard and ClimateMaster. We also service a wide range of other units you already own, with the same emphasis on quality and customer satisfaction.